A guide to keeping everything awesome based on The LEGOMOVIE 2(TM) – includes Emmet minifigure! 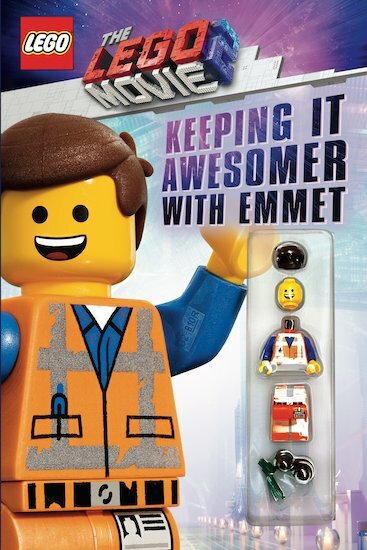 Emmet Brickowski is BACK in this all-new guide to keeping it awesome that comes with a LEGO Emmet minifigure! Narrated by Emmet himself, this guide is full of laughs and images from The LEGOMOVIE 2(TM) starring Chris Pratt, Elizabeth Banks, Will Arnett, Alison Brie, and more. So, are you wondering how to build your own destiny? Wondering how to keep the party going, even in the face of DUPLO alien invaders? Are you ready to make things awesomer? Then this is the guide for you!